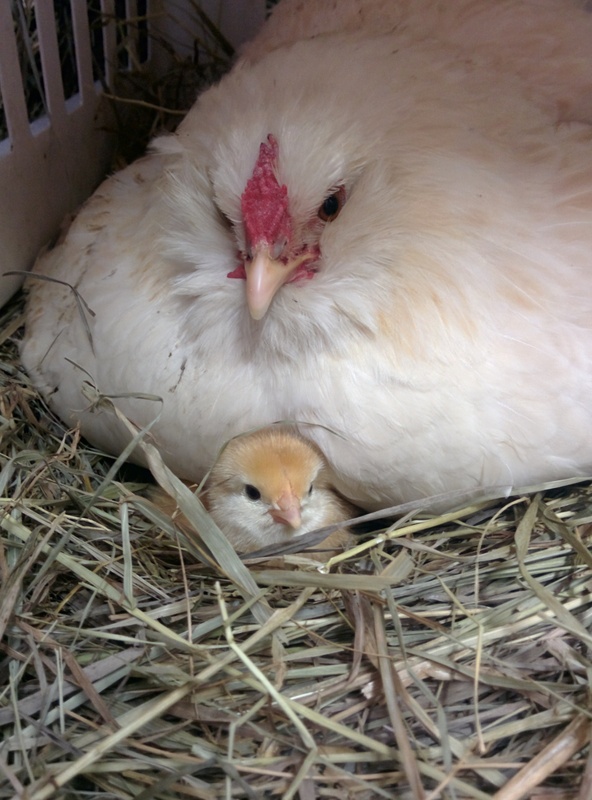 23 days ago Daisy went broody. For those who have no idea what that means, it means that she wanted to hatch her out some eggs. Her hormones were running high and whenever any of the other hens would lay ol’sneakster (that’s Daisy) would steal the egg out of the nest box and roll it over to her nest and sit on it. Because she must have all the eggs! We hummed and hawed over whether to let her hatch some or not. 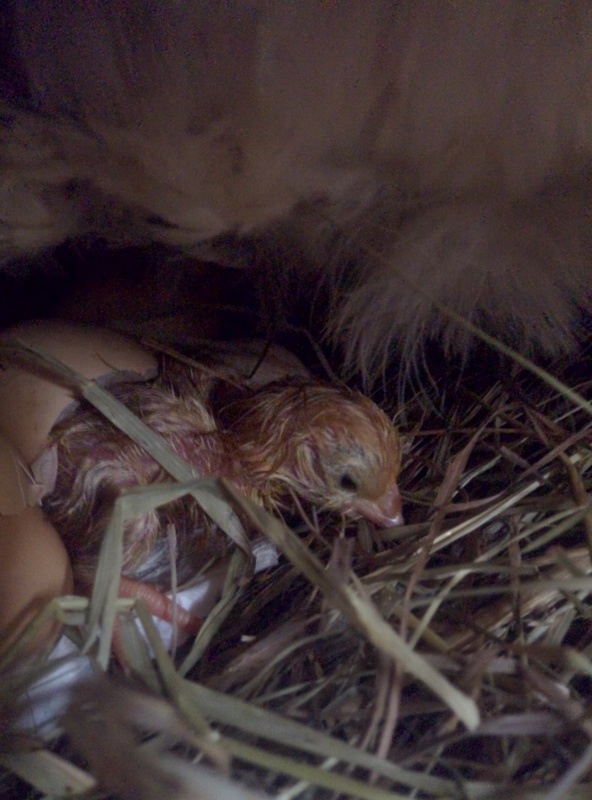 But when it came right down to it, here’s the problem – we love chickens. And our own home grown baby chicks raised by our dear sweet Daisy. Um yes please! So on day 21 I anxiously waited. 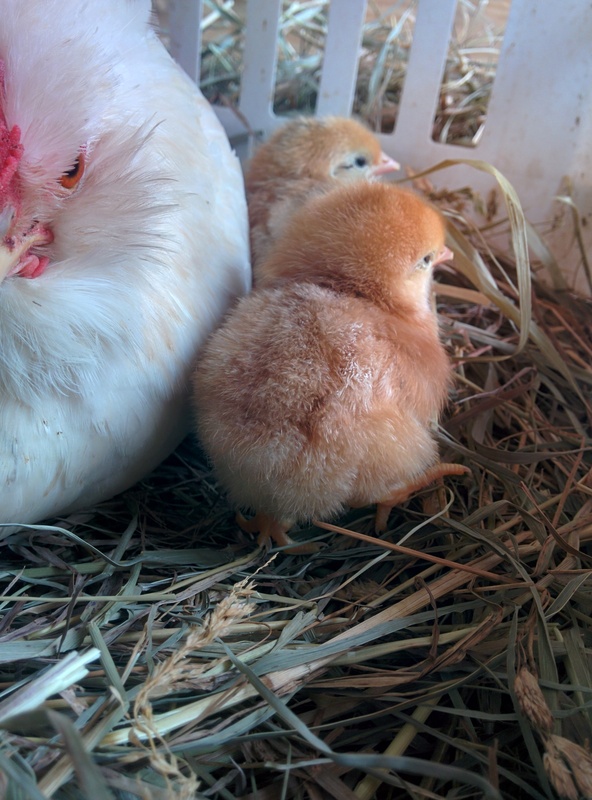 On day 22 I could hear them cheeping from inside the egg. 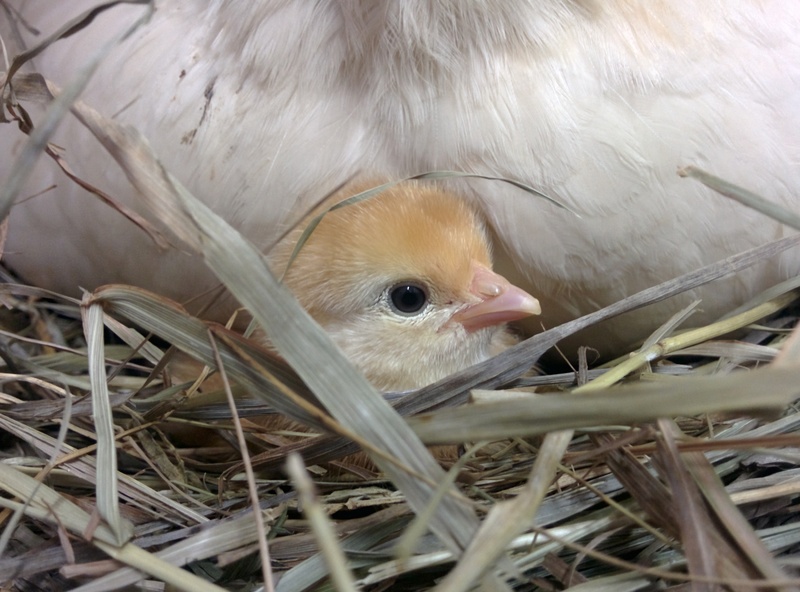 And Monday night (day 22) we had our first baby chick. Followed the next day by 1 other (and 1 currently trying to bust it’s way out of the egg as I type this). I know this because I frequently would lift Daisy up and peek under her. It’s a good thing she loves me. Or at least tolerates me. We started with 11 eggs under Daisy. 1 got cracked by other hens decideing they needed to lay in Daisy’s nest. (I marked which eggs where hatching eggs, that way I knew if any new eggs arrived). 1 got eaten by my savage other hens. (Daisy was moved to a materinty ward at that point….in my screened in porch, where else?) 2 were rotten and were removed. 2 hatched, 1 is trying to hatch, and 4 are still under her making me think they are the reason for the funny smell in the porch. So because I’m a crazy chicken lady I felt the need to document this occasion. Thank you for obliging me. I love the glaring slice of Daisy face in that last one. She’s saying I interrupted nap time and now I shall pay. 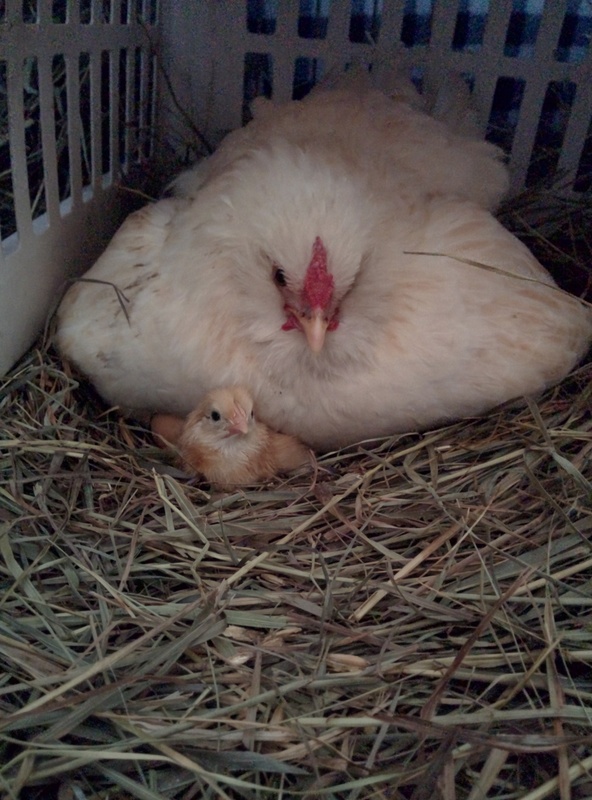 Now as long as there are no baby roosters in all that cuteness they shall all live happily ever after.